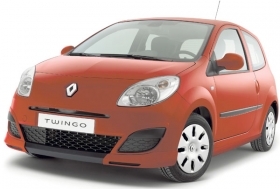 Rising demand for the Twingo helped increase Renault's overall output by 78.1% in August. MUNICH -- The Renault, Fiat and BMW brands made high double-digit gains in European car production last month. Renault increased its production 78.1 percent to 49,145 units, according to J.D. Power Automotive Forecasting. Demand was highest for the Twingo, for which output rose 82.3 percent to 9,906. Fiat's production rose 62.7 percent to 40,645 units as it worked to satisfy demand for its Doblo and New Fiorino vans. BMW increased production 38.1 percent to 43,837 units largely thanks to rising orders for the 5 series. The gains could not stop overall production from slipping 14.4 percent to 790,156 units in August. But that was the second-smallest year-on-year loss in 2009, according to J.D. Power. The smallest year-on-year loss came in July when car output slipped 11.4 percent to 1,476,041 units. Through eight months production was down 27.0 percent to 9,547,895 unis in western and eastern Europe including Russia and Turkey. This year's production low point came in February when output slipped 39.7 percent to 1,070,474 units. The steep decline came before the launch of scrapping incentives in the five major European markets. Production numbers have improved steadily since governments started offering incentives of up to 5,000 euros to get people to trade in their old cars and replace them with a new, more fuel-efficient models.